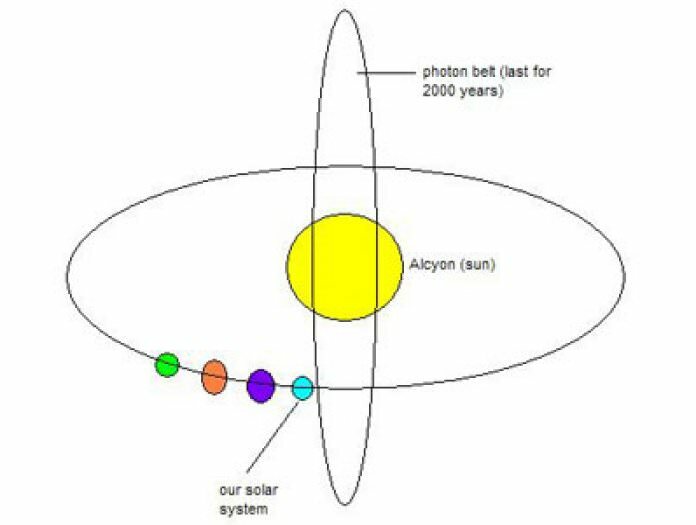 The photon band is a quantum (smallest particle) of electromagnetic energy with zero mass-no electrical charge and an indefinitely long life time. This photon band was first discovered in 1961 by means of satellite borne instruments. About every 26.000 years our Earth travels twice through this higher frequency band, affecting the material world and our consciousness. 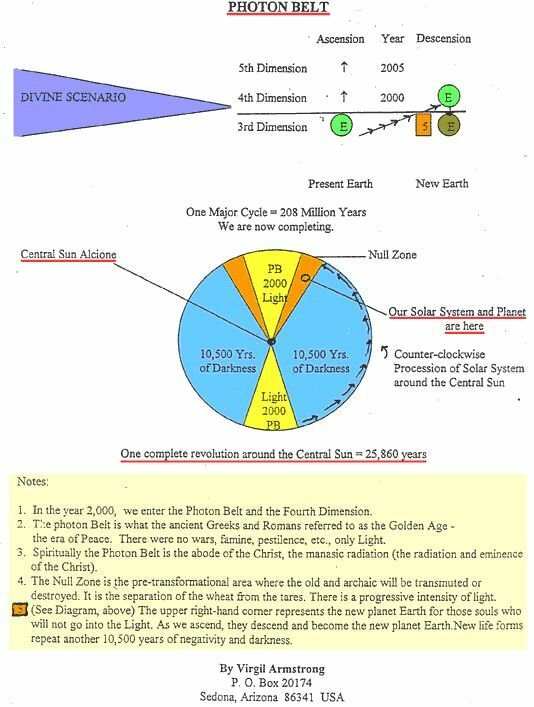 In 1987 our Earth entered for the first time again in this band and every year she is moving in-and out with each year staying longer in this higher frequency band, as our solar system is travelling through this particular area within our Milky Way Galaxy. It is the date when the Maya calendar ends and a new world begins. Mayor cycles are closing at the same time; one of 26,000 years, one of 104,000 years, and one of 225,000,000 years, giving birth to new species and a new Heaven and Earth. In December 1998, our sun entered for the first time again in this photonic band and has been prepared to adjust to this higher frequency. All what is happening outside is also happening inside of us. We are adjusting internally on a cellular level to the external change which is experiencing our solar system, and including our Earth.